1st Class Cars are a Professional Taxi Chauffeur And Limousine company specializing in Airport Transfers and wedding car hire to all Uk Airports Including Seaports and we also cater for all other occasions such as Hen And Stag Nights, Birthday Parties Retirement Parties etc, so give us a call you will be pleasantly surprised at our pocket friendly Rates. We specialize in Wedding Car Hire with modern, classic, Vintage Cars including Horse Drawn Carriages to hire for Christian, Asian, And Civil Ceremonies which are available for every-bodies special day. Here we have a Rolls Royce Phantom if you want style and Elegance this is the wedding Car for you and your lovely Bride to be this Rolls Phantom can be hired from £595.00 for a 4 hour wedding time slot. A Vintage Wedding Car Hire Rolls Royce Wraith This Vintage Rolls Can be hired from £495.00 for a 3 Hour wedding Time Slot. 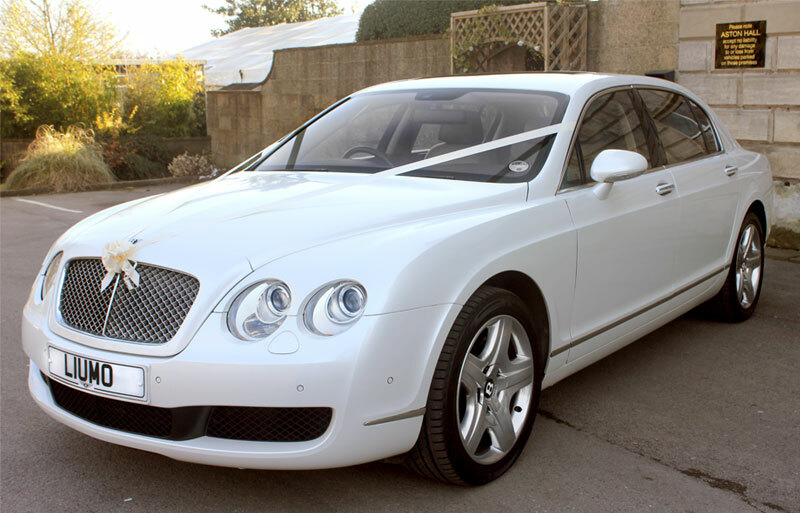 Bentley Continental Perfect Wedding Car which can be hired from £495.00 for a 3 Hour Wedding Time slot, will come automatically with Ribbons and flowers to the colours of your choice. Mercedes S Class Available in Silver And White You can Hire This Vehicle from £295.00 pounds for a 3 Hour wedding Time Slot comes with ribbons and Flowers to the colours of your choice automatically. Picture the scene…it’s your wedding day and you’re travelling to the church in a gleaming luxury wedding car and you feel on top of the world. There’s no substitute for class and when you need a high end service from a quality wedding car company, you should look no further 1st Class Cars, covering Reading and London. We always aim for nothing but the best for your big day and we have a range of beautiful cars at a very affordable cost. We believe that prestige wedding car hire should be accessible to everyone for those special occasions and we make that possible with a choice of wonderfully opulent automobiles, like the Bentley Continental and the fantastically grand Rolls Royce Phantom. 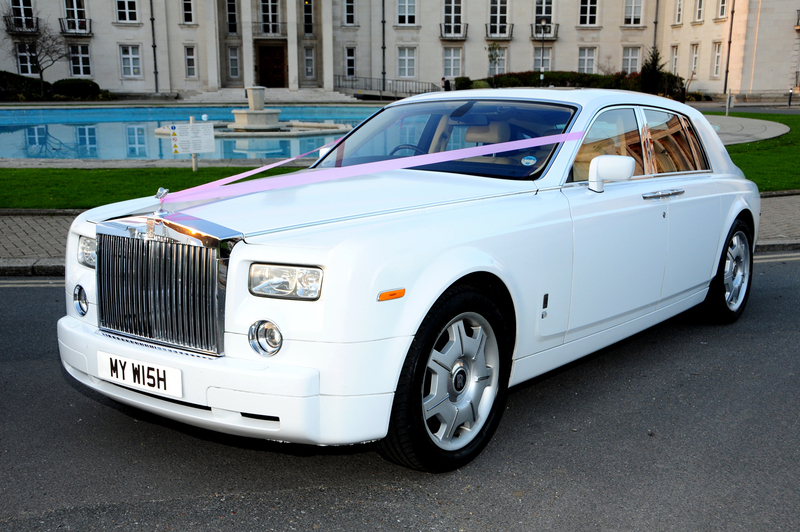 Well, believe it or not, you can rent the amazingly stylish Rolls Royce Phantom from only £595 for your special day, which as far as cars go, is about as comfortable and luxurious as it gets. Or how about the lovely Bentley Continental, also offering extravagant style of a very affordable from £495 and with even the most wedding budgets. 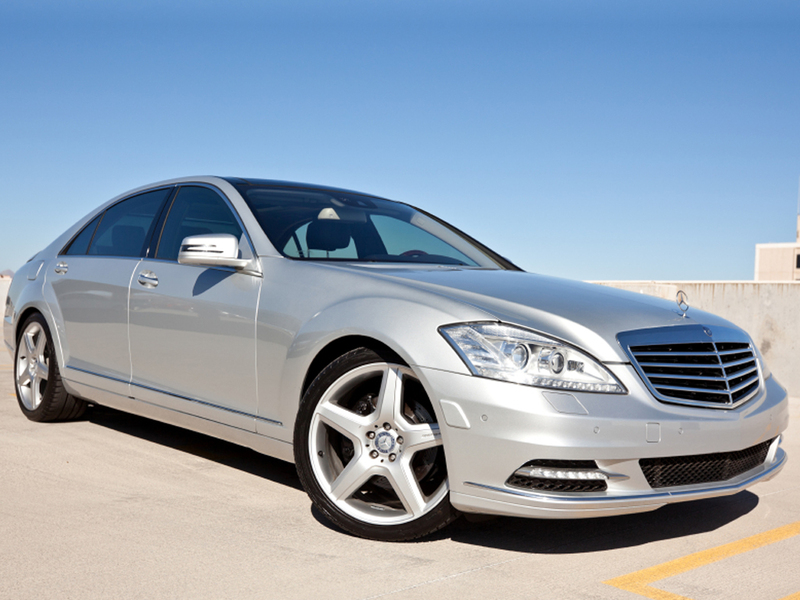 Our experienced chauffeur and drivers also know just how to make these amazing machines glide as they carry you to your destination. You need to know that your journey to and from exchanging vows is as smooth and free of bumps as can be, so that you stay unflustered and your champagne stays in your glass and not on the dress. When you choose 1st Class Cars, that’s exactly what you get! Want the Fairytale Wedding Experience? 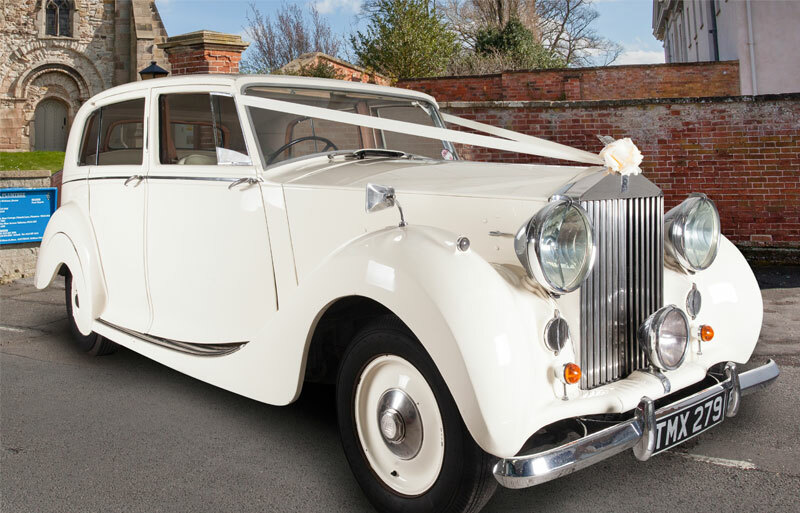 At 1st Class Wedding Cars London, we cover weddings across the whole of England’s capital city and our vintage cars are a wonderful sight to behold, decked out in ribbons. However, if you want the full fairytale wedding experience for your big day, then why not consider hiring our magical Horse Drawn Carriage? It will deliver you to the church on time and make you feel like a Prince and Princess, just as you deserve to. Your wedding day is one that stays with you forever and we can help make that memory one that you’ll never want to forget. When you hire with us, you get to enjoy these wonderful machines for up to four full hours, which is plenty of time to get you both to your wedding venue and then on to the reception in utter luxury and relaxation. Our drivers always arrive very promptly, so you’ll never have to worry that you’re going to be late, as you have enough to deal with just getting married! We completely understand that sometimes a wedding service will, through no fault of your own, run on a little longer than expected, which is why we offer the amount of time we do. In extreme cases, when the 3 or 4 hours (dependent on car chosen) is exceeded, it is purely down to the driver’s discretion, but we will always endeavor to ensure that your day goes as smoothly as possible. So, if your photos take longer than they should or traffic plays its part, rest assured that we will be as flexible and understanding as we can be. We are a friendly bunch at 1st Class Cars and we are dedicated to meeting your needs on one of the biggest and most romantic days of your life. We cover London and the entirety of Berkshire from Windsor to Maidenhead and beyond and our team is on hand to help you plan the best wedding car hire options to meet both your requirements and your budget. You can get in touch with us on 0207 353 0000 at our London office or if your wedding is being held in Berkshire, get in contact with our Reading office on 0118 950 8000. Alternatively, you could take a look through the rest of our website, where you’ll find lots of information on the cars and the full range of airport transfer, chauffeur and limousine services we have to offer. You can even ask for a quote online. However you do it, we look forward to taking your enquiry and helping you in any way we can. We hope you have enjoyed reading our blog and we look forward to receiving your comments especially if it is about improving our service to you our customers.